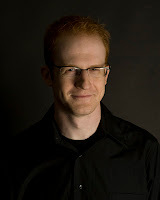 Steve Hofstetter is a SigEp and a very funny guy. He has released his latest album on a "Pay What You Want" download basis. You can check it out on his website. One frustrating aspect of the Radiohead pay-what-you-want experiment is the lack of definitive numbers — yet. ComScore says this, Radiohead says that, the record industry says this, the artists say that. Following in the footsteps of Radiohead, Steve Hofstetter, an up and coming comedian with a strong Internet following among high school and college-age kids, has released his latest album “The Dark Side of the Room” on his Website. He’s believed to be the first comedian to take a pay-what-you-want approach. Hofstetter’s last CD, “Cure For the Cable Guy”, reached No. 20 on the Billboard comedy charts, and he’s performed on VH1, Showtime, ESPN, and others, as well as his work being available at his Website and on YouTube. He’s extremely popular on MySpace and Facebook with hundreds of thousands of friends.